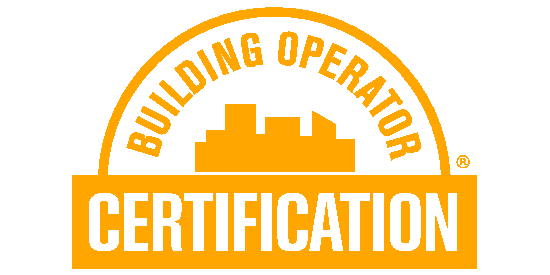 Building Operator Certification (BOC) training includes nearly 74 hours of classroom and project work (7.4 CEUs) in building systems operation and maintenance. Each course in the series is completed in a one day training session, except BOC 1001 Energy Efficient Operation of Building HVAC Systems, which is a two day course. To become certified, participants must pass an exam at the end of each training day and complete five assigned projects. Early registration is encouraged. Tuition: $995. The registration fee of $1,695 has been reduced to $995 thanks to funding from Duke Energy and the Wabash Valley Power Association. The tuition covers all class materials, books, continental breakfast, lunch, and credential recognition materials. Companies/organizations looking to send more than one employee to the same training can take advantage of a group discount, contact c3N1bGxpdmFuIHwgbXdhbGxpYW5jZSAhIG9yZw== for additional information.